What Are The Benefits of Continuous Translation? We numerously proved that translating your website and software can be much easier than you think, it’s profitable for your business and it doesn’t have to cost you an arm and leg. But what about keeping your products and services multilingual? After all, the localization of your website or software doesn’t stop after one time – your product continues to change and grow – it should do so also for your global audience! The solution could be the continuous translation approach where the translation process begins as soon as developers add new code and extract strings to resource files. Today, we will discuss 4 benefits of continuous translation, hopefully convincing you to give it a chance! Managing manual a manual translation project is complex, time-consuming and costly. The workflow in continuous translation projects is automated and therefore, more efficient. Teams are able to synchronize product updates across languages, eliminating time-consuming manual processes and allowing for daily global launches. Collaboration between developers, translators and project managers will significantly reduce the number of context related translation errors. Since the TMS allows you to collaborate with your team, upload reference files on a project level and reference images for each individual translation segment. Translators also don’t have massive amounts of content to translate all at once and are not faced with the same deadline pressure as for regular translation projects, which contributes to overall translation quality. Automated workflow combined with Translation Memory will grow over time and result in a reduced translation cost. 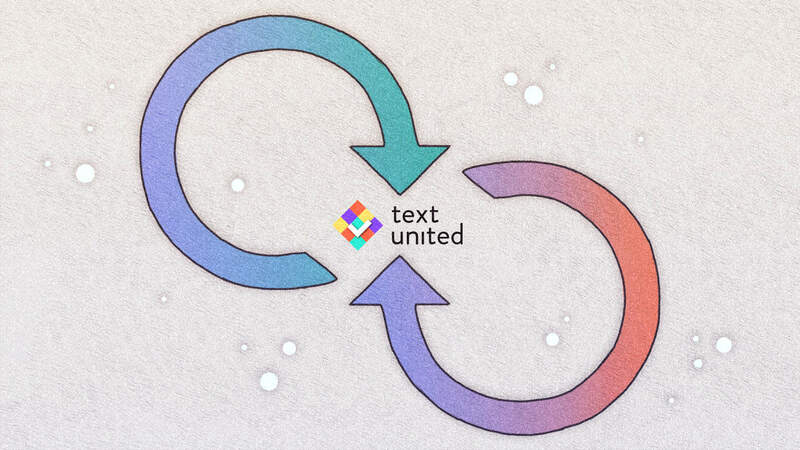 Text United provides machine translation as well, and project managers may use the machine translation + human review option in the project creation menu. When strings are translated by machine translation engine, a professional human translator is assigned to review, edit and fine-tune the translated content. This service is up to 40% cheaper than full human translation, depending on the language combination that is used. All of the updates on the software development project will be synchronized with your translation platform. Improvements, bug fixes or regular updates and new content, will be synced and translated on a regular basis. With fully integrated translation workflow, you will be able to release new updates and new content for localized versions of your app almost without lagging behind the English version. When your translation tasks are simplified and consistent with your marketing platform, you get your localized content quickly to all of your target markets.